Like so many others, I was shocked to hear about the death of David Bowie. A brilliant artist and showman suddenly gone, not to mention another innocent person lost too soon to the modern plague of cancer. 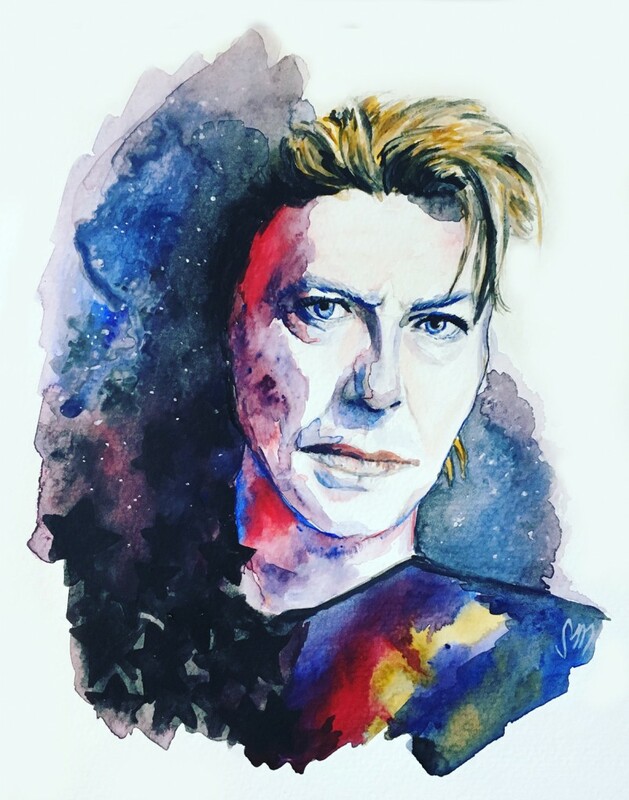 The man we knew as David Bowie was truly unique no matter what persona he took on whether it was Jareth or Ziggy or Aladdin or the Thin White Duke. I wanted this portrait to capture his other-worldliness as well as his naturally elegant look. Creating it actually gave me some comfort and for other fans mourning his loss I honestly think acts of creation are the most fitting ways to honor his memory.